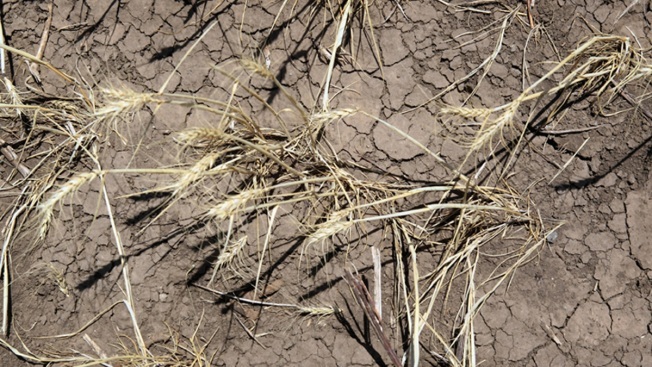 The U.S. Department of Agriculture has designated 240 counties in Texas as primary natural disaster areas due to the lingering drought. On Wednesday the USDA made a list that named all natural disaster areas. The entire list of counties can be found on the USDA website. All farm operators in those areas can apply for low-interest emergency loans from the USDA's Farm Service Agency. These loans are created to help farmers cover part of their losses due to the recent drought. "Our hearts go out to those Texas farmers and ranchers affected by recent natural disasters," said Agriculture Secretary Tom Vilsack. "President Obama and I are committed to ensuring that agriculture remains a bright spot in our nation's economy by sustaining the successes of America's farmers, ranchers, and rural communities through these difficult times. We're also telling Texas producers that USDA stands with you and your communities when severe weather and natural disasters threaten to disrupt your livelihood." The application can be filled within the first eight months after the declaration has been made. Certain requirements will have to be met to qualify for any loans. The FSA will overlook each application and will take into consideration the extent of losses, security available, and repayment ability of each applicant, said the USDA in a news release. Aside from the EM loan the FSA has many other programs that assist eligible farmers recover their losses. Anyone interested in finding out more about these programs can go to the USDA FSA online page.